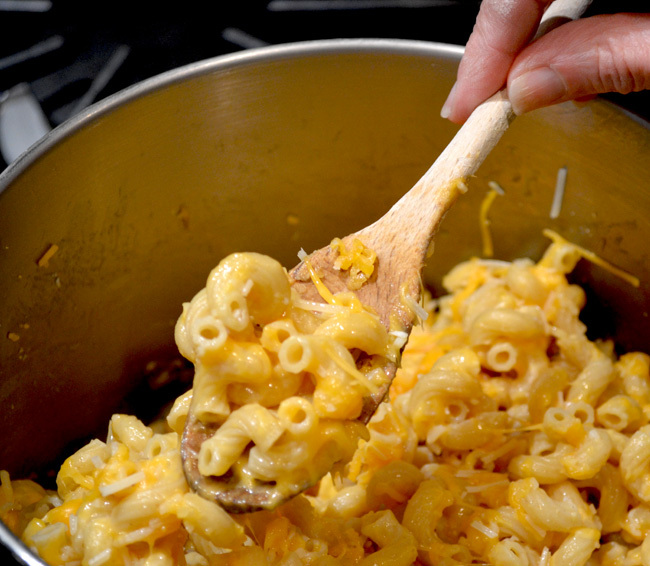 Macaroni and Cheese tops my list of comfort foods. Growing up, my Mamaw Roberson (my mom's mother) fixed this classic regularly and her 13 grandchildren adored her for it. Since I haven't been blessed with grandbabies (yet! ), I usually save this kid's delight for holidays. After all, it's one of the only dishes approved by our niece Ashley and all that cheesy goodness can send the calories off the chart. 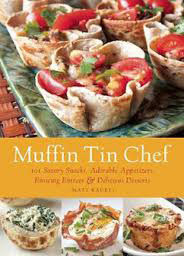 But that was before I found this version in the Muffin Tin Chef (Ulysses Press, March 2012, $15.95). Author Matt Kadey's spin on my long-time favorite includes healthy choices like whole-grain pasta, Greek yogurt and sun-dried tomatoes. (Can you tell he's a dietician?) 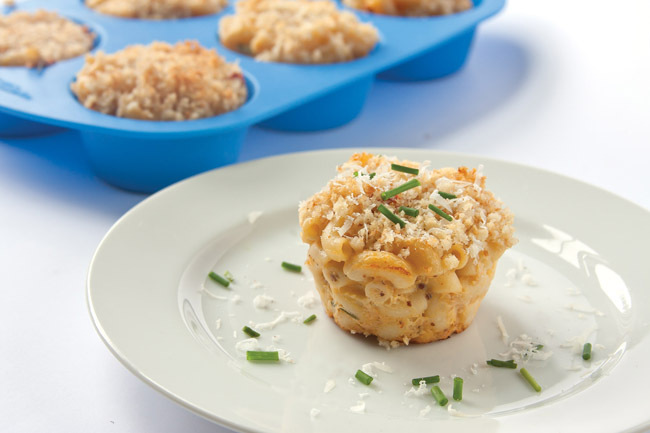 Plus, preparing it in a muffin pan helps control portion sizes (for fewer calories) and makes the cutest little individual servings ever! 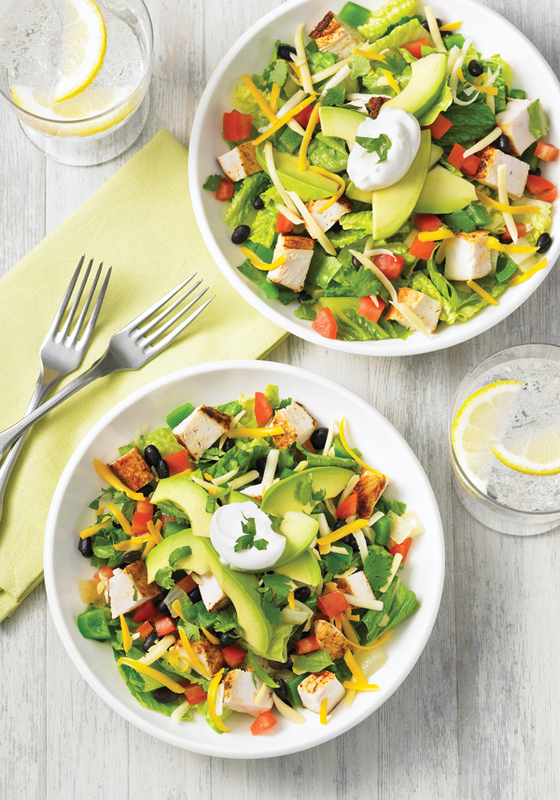 Although it calls for several ingredients, this recipe is easy to follow and there's nothing too exotic. After cooking and draining the pasta, you stir in shredded cheddar (I like cooking with 2%) and Parmesan cheese. Yum! 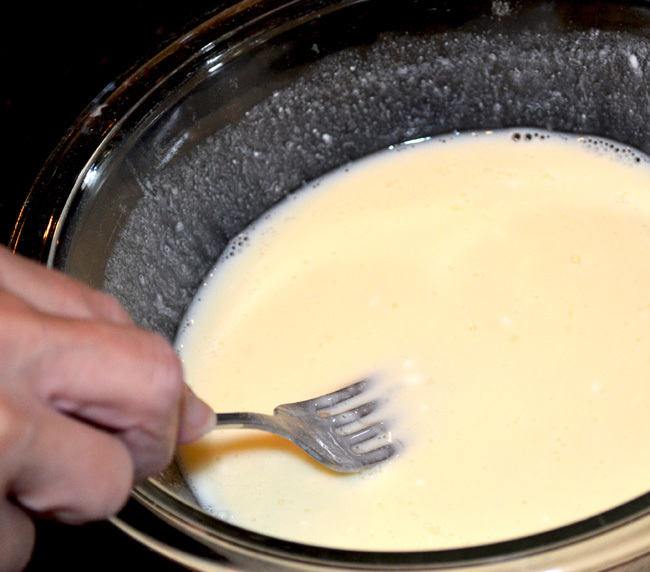 While the cheese melts, you mix eggs, milk and the Greek yogurt in a separate bowl. 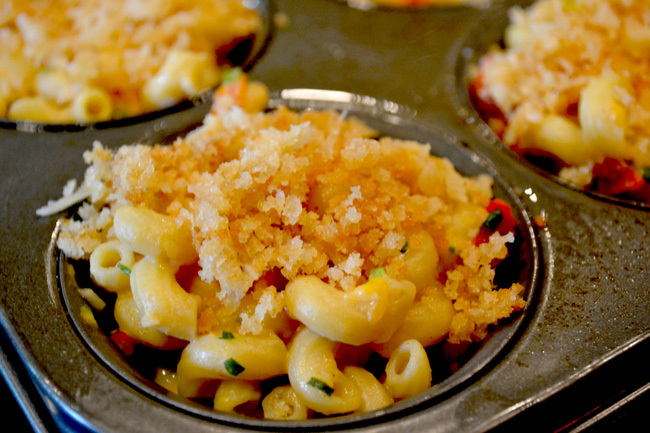 Then add that combo to the macaroni medley along with sun-dried tomatoes, spices and mustard. Here I veered off the track a little, substituting Frank's RedHot Cayenne Pepper Sauce for standard dried cayenne. We gotta have some heat! After a good stirring, pour the concoction into medium muffin cups which have been sprayed with Pam. Then crown each one with panko bread crumbs browned in a little butter and mixed with more Parmesan cheese. Slide your efforts in the oven and 15 minutes later you'll have 12 (or, in my case, 14) mini macaroni muffins. Let them cool for about 5 minutes before using a fork to gently lift them out of the pan. Then get ready for compliments. Besides having a taste that kids and adults alike adore, this reinvented, comfort-food classic is sure to dress up your table. Cook the macaroni according to the package instructions until al dente. Preheat the oven to 375°F. Drain the pasta, return it to the pot, and stir in the cheddar cheese and 1/2 cup of the Parmesan cheese. In a medium bowl, lightly beat the eggs and stir in the milk and yogurt. 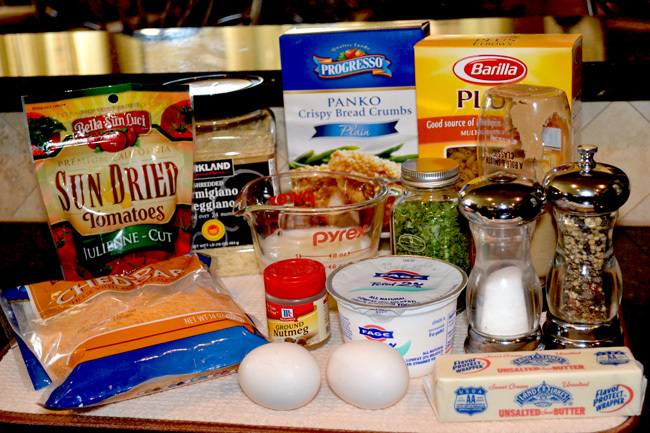 Add the egg mixture to the pasta mixture along with the sun-dried tomatoes, chives, cayenne, if using, nutmeg, mustard, salt and pepper and mix well. Divide the mixture among 12 medium muffin cups. Heat the butter in a medium skillet over medium heat. Stir in the bread crumbs and cook until browned, stirring regularly. Stir the remaining 2 tablespoons Parmesan cheese into the toasted bread crumbs, sprinkle over the pasta mixture, and bake until set, about 15 minutes. Let cool for 5 minutes before unmolding. Other Works: Matt Kadey is a registered dietitian, freelance nutrition writer, recipe developer and travel photographer. His articles have appeared in Men's Health, Women's Health, Shape, Prevention and more. * Reprinted with permission. All rights reserved.